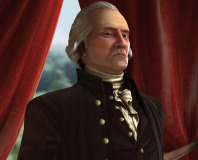 David Brown breaks his addiction for a few minutes to bring us his Civ 5 review. 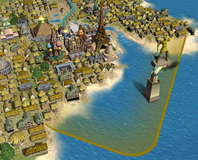 Sid Meier will be bringing Civ to Facebook through a new persistently online and free game. 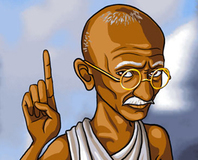 2K Games has released an iPhone version of Civilization Revolution today. Civilization, one of the best-loved and most successful PC games ever, has made the move to consoles. Do the new friendly graphics and interface hide a game with the same depth and cunning, or has the franchise finally fallen flat? We find out. 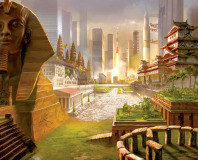 2K Games has today announced that it will be releasing a new Civ expansion this year - and one that will be stand alone as well! We've been behind the sword, on the sword, in the sword and in front of the sword a hundred times before. 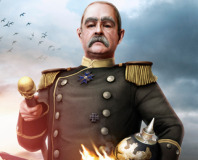 Finally though, Dan Boaden goes Beyond the Sword in the new Civ IV expansion pack.